Jane Mackenzie, a Self-sustaining Naturalist in all areas of her life has set an example for individuals to follow.Everything is energy and therefore to be balanced and heathy we need to raise our vibration to a higher frequency for the good of the whole. Achieving sustainable and abundant health required a multi-dimensional and interdependent approach encompassing Regenerative,Intelligent, High Frequency, NutrientDense Food and Herbs and Lifestyle Factors, such as, sunshine, pure water, fresh air, exercise, emotions and thoughts. “You are what you eat” and “What you think happens”. 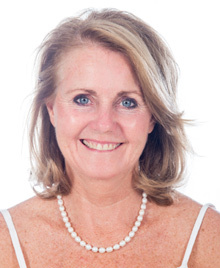 Primarily a Nutrition Consulting Pharmacist, Jane has spent the last 30 years investigating disease, illness, symptoms, treatments, cures, nutrition and sustainable health. Her research and practical findings confirm “Our Food id Our Medicine and Our Medicine is Our Food” (Hippocrates).In addition to eating as healthy food as possible, she creates potentiated food and herb supplements to set up a Stress Defence Shield. This includes ‘high frequency ‘nutrient dense foods and herbs such as bee pollen, royal jelly, propolis, medicinal mushrooms, algae, adaptogens, natural hormone and neurotransmitter herbs, probiotics, enzymes and anti-oxidants. She consults and does one-on-one Personal Nutritional Profiles, workshops, seminars and talks. She has created a live example of a sustainable and regenerative home in the heart of Bryanston where she shares abundance and inspires visitors. Her home is, off-grid, renovated to allow an inside-outside and close-to-nature feel with glass windows and doors for maximum light and passive heating in winter, geometric spaces for health and healing such as the octagon lounge and workshop area. Green building principles were used in accordance with SANS recommendations. Space heating is also off grid and minimised by insulation to floors, windows, ceiling and roofing. Her garden is indigenous and water wise and is home to several varieties of micro-organisms, nematodes, insects, amphibians and nesting birds. The garden is divided up into coastal forest walks, Lowveld and Highveld thicket areas. Jane makes juice and eats abundantly from her sustainable biodynamic and organic, nutrient-dense and toxin free food gardens, including fruit trees, berries, herbs, annual and perennial vegetables grown in mineral, micro-organism and compost enriched soil. Planting uses the biodynamic planting calendar. Natural pest control methods are used when required. Jane assists people in setting up organic vegetable gardens with a view to being abundantly healthy, sustainable and growing chemical free food. All seeds are either organic or heirloom. Almost all waste is recycled or reused resulting in minimal contribution to landfill. A fact that Jane is extremely proud of. Jane has four composting methods including biodynamic garden refuse gold black compost with herbal preparations, Green Beanie for kitchen waste decomposition without encouraging rats, three worm farms and a Bokashi bin. She makes Medicinal Herbal preparations by harvesting flowers, leaves, stems, bark and roots from sustainable indigenous trees and herbs from the medicinal garden. Jane also makes her own organic body and cleaning product free of toxins and harmful chemicals. The off-grid electricity system has captured the sun light to power Jane’s entire home for the last 4 years.Water storage tanks store water. Water enlivening and re-structuring is achieved using the Spyralyx system for the garden and home. This also is responsible for the abundant growth in the indigenous and food gardens.